Birdwatching can be done just about anywhere … in your own backyard, down the street, close to home, or in parks, conservation areas, and from country roadsides. and to use one of our Bird Checklists to record your sightings. The extensive holdings of the RBG offer some of the best land and wetland birding in the district. 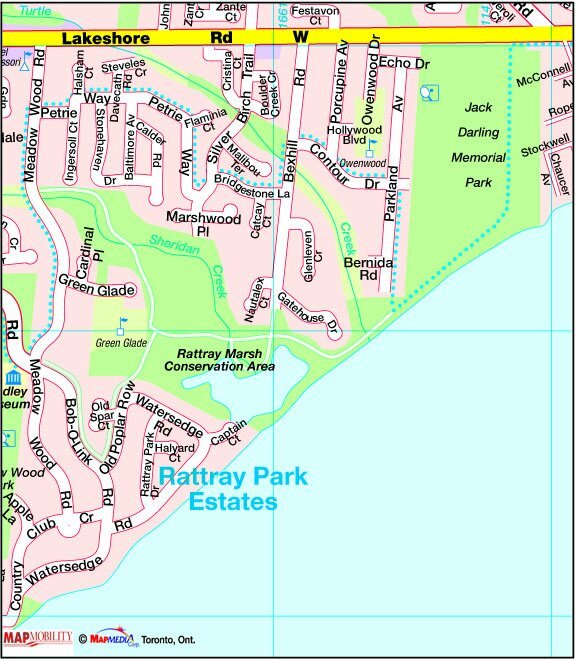 For information on trails and extensive land holding of the RBG visit the Centre itself and ask helpful volunteers for further information and maps. The entrance to the Hendrie Valley trail system is directly across Plains Road from the west end of the Visitors’ Centre and is a good starting point. DIRECTIONS: From the QEW take Hwy 403 west towards Hamilton. Exit at Hwy 6 north (exit 93) towards Guelph. Turn right at the first lights (Plains Road) and follow the signs to the RBG Centre. Located on Spring Gardens Road near the Royal Botanical Gardens Centre , Woodlands Cemetery is noted for warblers during spring migration and is the site of an informal hawk watch in the fall. DIRECTIONS: From the QEW take Hwy 403 west towards Hamilton. Exit at Hwy 6 north (exit 93) towards Guelph. Turn right at the first lights (Plains Road) and follow it to Spring Gardens Road, located on the right. During the fall and before the freeze-up in early winter, the waters of Burlington Bay are home to large numbers of diving and dabbling ducks, swans, geese and even a lone male Mandarin Duck. During the winter Lake Ontario is home to literally hundreds of thousands of wintering waterfowl. A visit to just a couple of the many access points along the water front can yield good numbers and occasional vagrant birds. 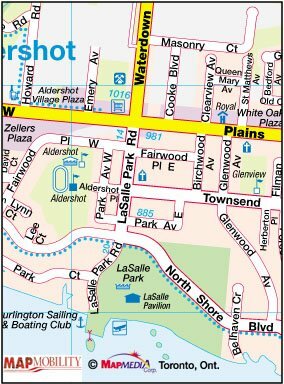 Starting at Spencer Smith Park at the west end of Burlington and traveling east the following stops in sequence can produce spectacular viewing – Venture Inn, base of Guelph Line, Sioux Lookout, Walker’s Line, Shoreacres Park, Appleby Line and Hampton Park. DIRECTIONS: From the QEW, exit at Brant Street and turn south. Follow Brant to Lakeshore Road. 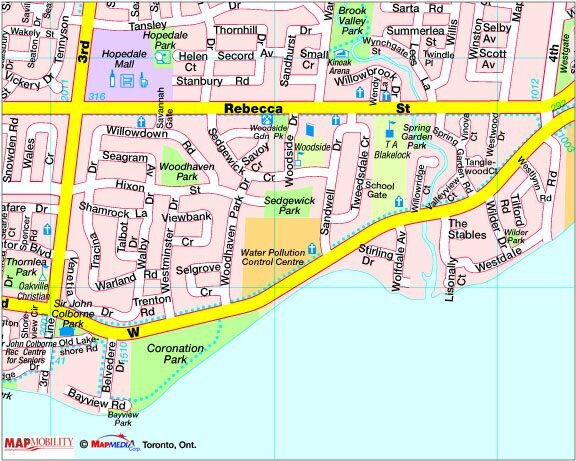 Turn right on Lakeshore for Spencer Smith Park or left to find other locations. This urban park is mixture of playing fields and picnic areas. Shade trees along the Sheldon Creek make for interesting songbirds during spring and fall migrations. A small woodlot in the north east quadrant of the park has been productive during the winter. 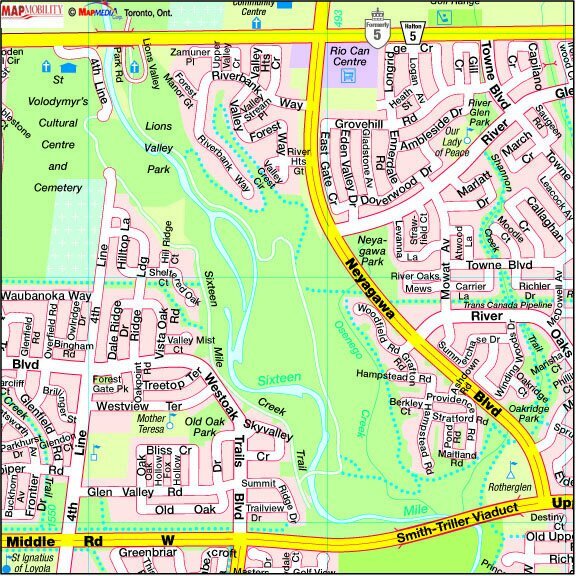 DIRECTIONS: Shell Park is accessed from Lakeshore Road between Bronte Road and Burloak Road. A remnant of Bronte Woods is the small stand of White Pine between the established Chalmers Road neighborhood and the pipeline servicing PetroCan. Probably best in the winter with woodpeckers and owls possible. 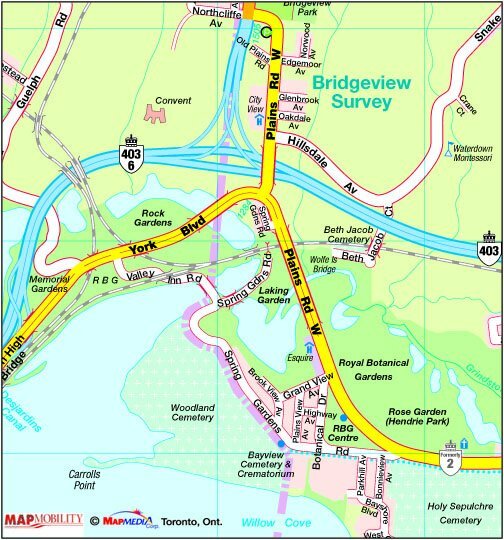 DIRECTIONS: From the intersection of Lakeshore Road and Bronte Road, travel west crossing the bridge, turn right at the first lights, Mississauga Road, follow this north to Chalmers Road, and turn left. Follow Chalmers as it curves left until you reach Villagewood Park on your right. Home to breeding Red-necked Grebes, Bronte Harbour, especially the basin of the Outer Harbour, can be interesting in all seasons. 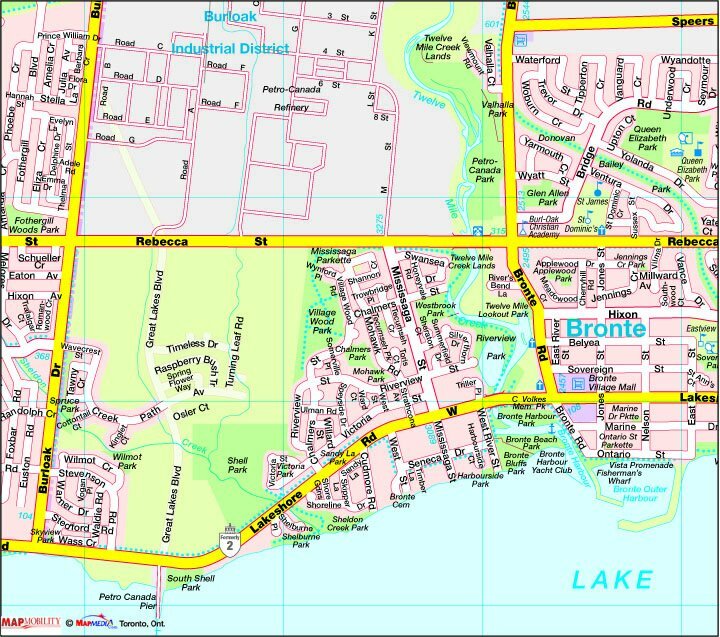 DIRECTIONS: From the QEW, take the Bronte Road exit south, and follow Bronte to Lake Ontario. There is free parking near the base of the road. 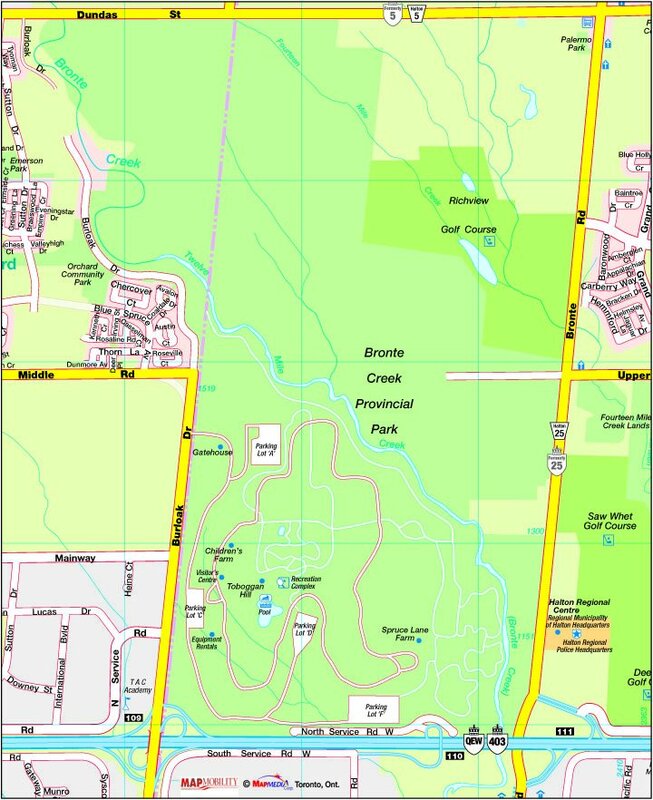 This small park situated on the floodplain valley of Bronte Creek (aka Twelve Mile Creek) can be very productive for warblers and other passerines during spring and fall migration. DIRECTIONS: From the QEW, take Bronte Road south. The park is on the right, just past Wyatt Street (between Speers Road and Rebecca Street). A word of caution: the entrance is a very narrow driveway (occasionally gated) and is easy to miss. Less spectacular than some of the waterfront access points, Coronation Park has had its share of unusual waterfowl including Ross’s Goose and Harlequin Duck. DIRECTIONS: From QEW, take Third Line south to Lakeshore Road and turn left. 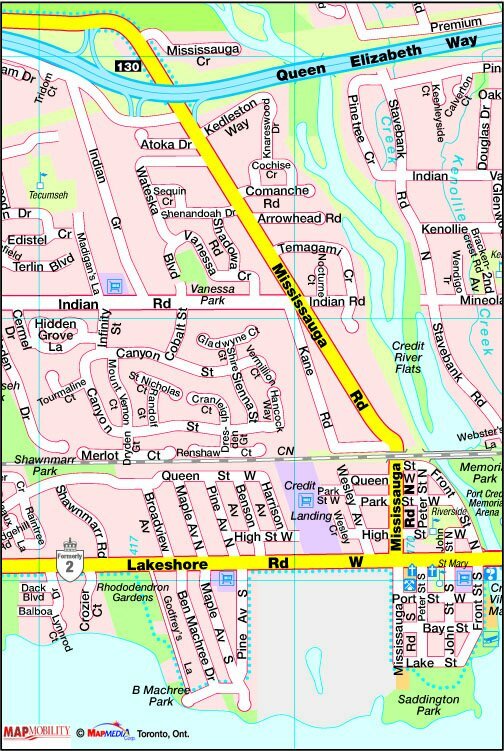 The park is located on the south side of Lakeshore Road. Located at the eastern end of Hixon Street, south of Rebecca Street, east of Third Line. Because of the proximity to the water treatment plant and its source of flies, this forest is a great place for overwintering warblers and other songbirds. It has hosted Winter Wren, Ruby-crowned Kinglets, Orange-crowned, Nashville, Yellow-rumped, Wilson’s, Palm, and Northern Parula Warblers in past years. Definitely a place to keep an eye on starting in the fall season. DIRECTIONS: From QEW, take Third Line south to Hixon Street and turn left. The park is located at the end of the street. Although managed as a recreational facility, Bronte Creek Provincial Park is arguably the best remaining example of natural habitat in the district. Visits to its varied habitats during the course of the year will yield most of the woodland birds found in southern Ontario. Bronte Creek itself effectively divides this park into two. West — This side of the park is a developed day-use park. Well maintained trails give hikers direct access to the valley. East — Until recently, the east side of the park remained in a naturalized state. A portion of it has been developed for overnight camping. The trail along the top of the east bank of Bronte Creek has been excellent for spring migrants. A good selection of grassland species nested in the general area of the new campground. 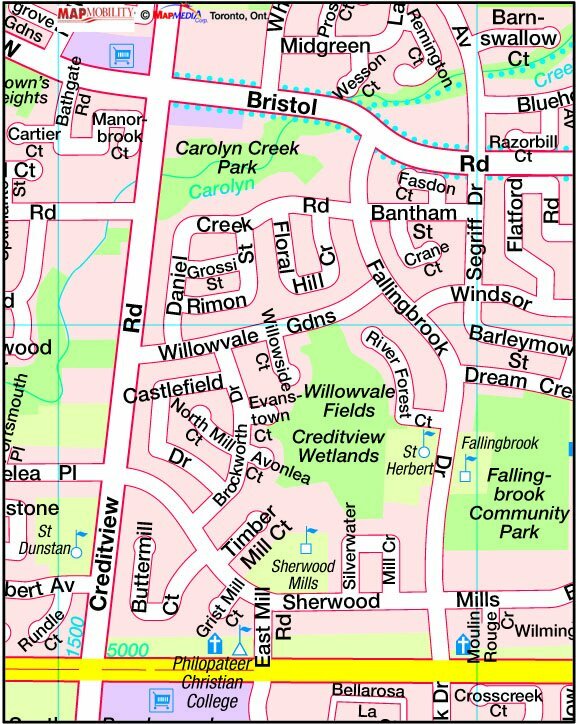 The ravines and valleys of Sixteen Mile Creek can be accessed through the Heritage Trail system developed by the Town of Oakville. Spring migrants, especially warblers, can be seen here. Joshua Creek has many access points south of the QEW. It is also birdable from public land north of the highway. The following location on the Lake is locally famous on special days when fog and light rain in the hours before dawn have created warbler fallout conditions. Waterfowl are often seen on the lake in season. DIRECTIONS: Take the QEW to Winston Churchill Road and turn south. Continue to Lakeshore Rd and turn right. Turn left at the first street, Arkendo Drive, and go to the end where there is a opening to the forest. You can park here and walk into the woods. Rattray Marsh is a place of moods and seasons. Dependent on an urban, channelized, yet unpredictable water source — Sheridan Creek — and an equally unpredictable outlet to Lake Ontario, one never knows what to expect in the marsh. Away from the marsh, woodland trails yield more than a few surprises, especially during migration. An excellent book — Rattray Marsh: Then and Now (ISBN 0-9693573-0-3) — describes many aspects of the marsh, including birding and the struggle to preserve the marsh. This book is available in most branches of the Mississauga Library System. Copies can occasionally be found at local area book stores or by calling 905-823-1572. Trails linking Saw-mill Valley Creek and the Credit River extend the natural areas on the Erindale Campus to include a surprising variety of habitats at all seasons. While it has never been an issue (to my knowledge), the campus may be less accessible when classes are in session. You cannot actually visit the Creditview Wetland. Fencing now protects the bog from further encroachment from recently developed subdivisions that surround it. After a ten year campaign, the wetland is now owned and protected by the City of Mississauga. A springtime walk along the eastern side of the wetland can yield surprising sightings and sounds including wood duck, Virginia rail and green heron. This is a small, manicured urban park on Lake Ontario just west of Mississauga Road. Its paved paths along a small creek make it one of the most accessible birding areas in the district. Over the years I have accumulated a list of almost 200 species at this one spot alone. DIRECTIONS: From QEW, take Mississauga Road south to Lakeshore Road. 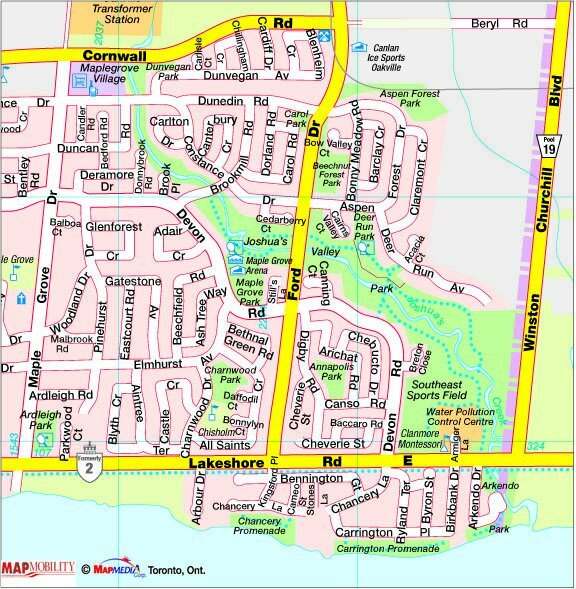 Turn right along Lakeshore Road and then left at the lights at Shawnmarr Road. The Mississauga waterfront is not as prolific as Burlington’s but it should not be ignored. Lakefront Promenade is only a single example. While reports of Dovekie and Gyrfalcon are enough to excite any birder south of Greenland, local gull experts can spend hours studying wintering white-winged gulls at close range. 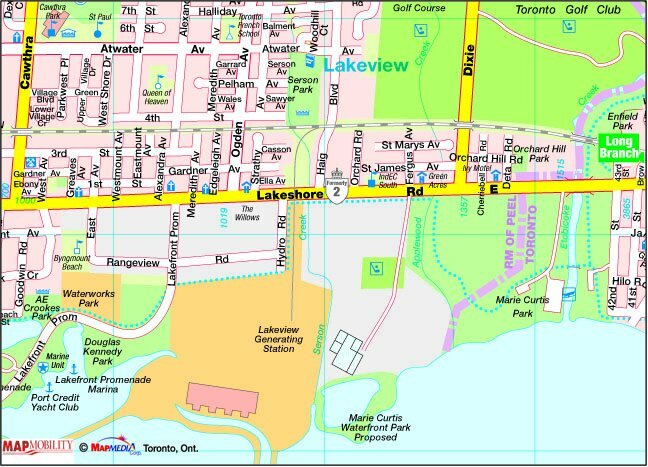 DIRECTIONS: From QEW, take Cawthra Road south to Lakeshore Road and turn left. Just past a Tim Hortons on your right, turn right onto Lakefront Promenade . This site gets less attention from district birders than it deserves. Located at the mouth of the Etobicoke Creek, Marie Curtis Park lies on the border with the City of Toronto. Wooded areas along the Waterfront Trail can generate strange birds at all seasons. 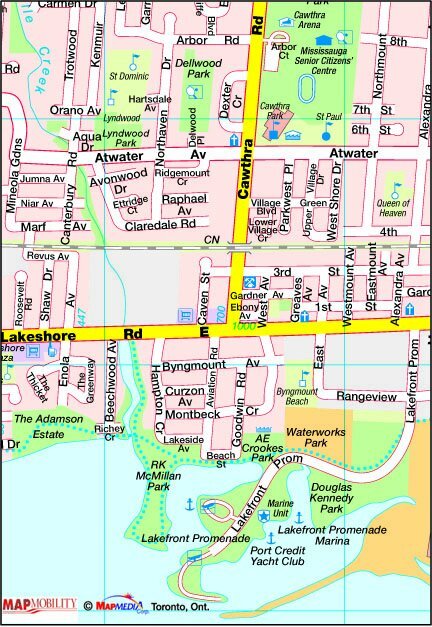 DIRECTIONS: From QEW, take Cawthra Road south to Lakeshore Road and turn left. Continue past Dixie Road and watch for the park entrance on your right. This site is on the east bank of the Credit River, just south of Highway 403. The Riverwood Bird Trek begins at MacEwan Field Station, continues past a deep water-cut ravine, along raised boardwalks, and down to the Credit River following established trails. Three interpretive signs help visitors identify birds they are likely to see in the different habitats found along the walk. Volunteers place bird food in bird-feeder stations from October to March. 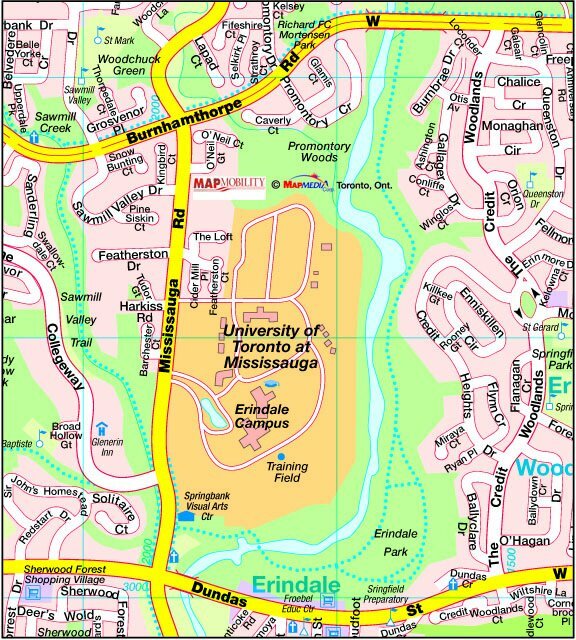 DIRECTIONS: From the 403, take Erin Mills Parkway south to Burnhamthorpe Road and turn left. Continue past Mississauga Road and watch for the park entrance on your left, just after you cross the river. We hope this selection of local birding sites will inspire more people to bird and report their sightings. We also realize that visiting birders will want to cast a larger net. While I find it hard to recommend a book that calls Mississauga ‘an amorphous blob’, Clive Goodwin’s A Bird-Finding Guide to Ontario ( ISBN 0-8020-6904-5) has a wealth of information for birding across the province. It is used and read by most birders living in the Ontario. Another useful book is A Nature Guide to Ontario (Federation of Ontario Naturalists – 1997) (ISBN 0-8020-2755-5 or 69\802-2 for paperback edition). This book showcases more than 600 of the best sites in Ontario.